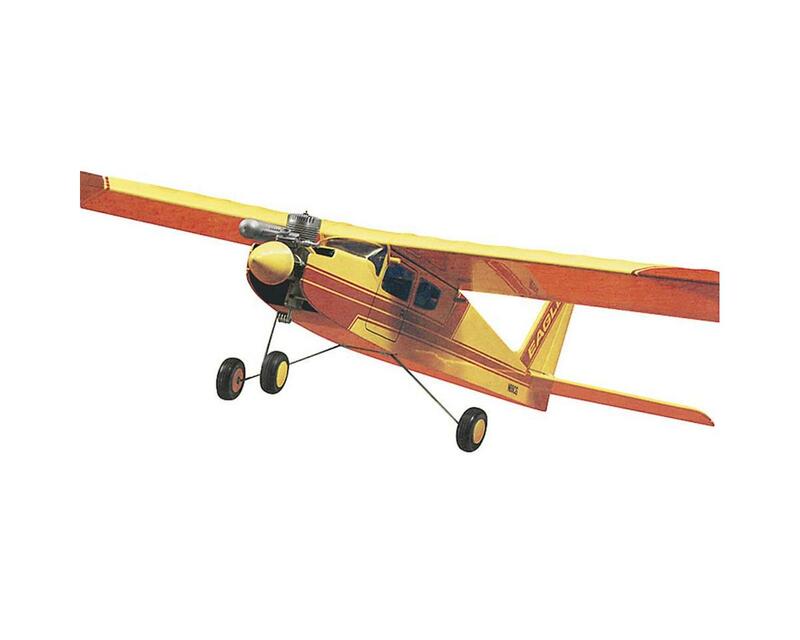 The Great Planes Carl Goldberg Eagle 2 Trainer Airplane is great for beginners to build and fly! Beginners and experienced pilots alike will appreciate the Eagle 2 Sport Trainer Kit. This rigorously flight-tested kit features only the highest-quality wood parts, laser-cut for a precise fit. A complete hardware package is also provided. Building is further simplified with some of the best instructions in the hobby. The Eagle 2 Sport Trainer Kit is an outstanding choice for stability, strong climbs and confidence-building first flights.